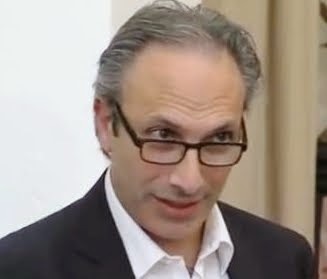 Development Horizons by Lawrence Haddad: Global Development Goals: End of the Beginning or the Beginning of the End? Global Development Goals: End of the Beginning or the Beginning of the End? Yesterday I gave evidence to the UK's International Development Select Committee, the body of MP's that, among other things, holds DFID to account. The Committee is conducting an Inquiry into what should come after the Millennium Development Goals (MDGs) which currently end in 2015, I was on a panel with Richard Morgan, Senior Advisor at UNICEF and Eveline Herfkens (former Minister of Development Cooperation, the Netherlands). IDS provided 5 submissions to the Inquiry. The one from the ESRC STEPS Centre, coordinated by IDS (Melissa Leach, Ian Scoones) and the Science Policy Research Unit at the University of Sussex (Andy Stirling, Adrian Ely) focused on politics, inclusiveness and power, with a special emphasis on how to reconcile environmental and development objectives. Noshua Watson at IDS delivered a submission on financing for the next set of goals. Andy Sumner (now at Kings) submitted on the new geography of poverty. The "Participate: Knowledge from the Margins" team (IDS and Beyond 2015) presented on the need to listen to those who are normally not heard, and argued strongly for citizen-led accountability mechanisms to help legitimise the next set of goals. It is good to see the various dialogue processes intensifying--it's about time. The end of 2015 is approaching fast and there are no guarantees that the world will have decided what to do with the Goals by then. 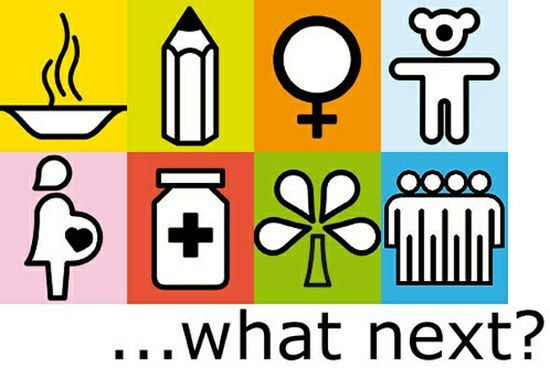 If the MDGs were the end of the beginning will the post-2015 discussion mark the beginning of the end of Goals? I hope not, and it need not, but high level political leadership is in short supply. My written testimony is below, keying in on some of the exam questions set to us by Malcolm Bruce and his Committee. Here is a related powerpoint to AusAID. 1. Lessons learned from the adoption of the International Development Targets and the Millennium Development Goals: in particular how effective has the MDG process been to date? The current MDG framework has provided a basis around which a broad international consensus has been built and that has concentrated global attention and resources on addressing some of the most pressing development outcomes, outcomes that if dealt with will save and improve people's lives. It has strengthened the view that if support for aid is to be sustained, measurable progress must be shown in areas that the public in donor countries view as desirable. Recognition of the MDG framework within traditional donor countries has been highly variable. It has been good in the Nordic countries, yet much less visible elsewhere. It is thought to have (a) increased Overseas Development Assistance (ODA) and (b) directed a greater share of it to Sub Saharan Africa. There has been more of an impact on the aid discourse than on resource allocation and there is little evidence of the impact on national policies in developing countries. All countries should be bound by at least some of the goals. A new framework needs to recognise the changes that have taken place in the world since the inception of the existing MDGs in 2000. Notions of 'developed' and 'developing' nations are now outmoded and aid is no longer the main source of development finance. Remittances, taxes, foreign direct investment (FDI) and private foundations all play an increasingly significant role. A more integrated approach to development is required, with more cross cutting policy responses and improved cooperation across all development actors. Some of the goals would not make sense in the richer countries (e.g. $1.25 or $2 a day poverty rates) and some would be very difficult politically (e.g. halving of relative poverty or a target for declines in income inequality). However there need to be some around climate, resource use and energy efficiency that are applied to all. When the goals apply to all countries, there should be a compensation mechanism or differentiated target for the poorer countries who are signing up to reduce global "bads" such as pollution, global warming, unfair trade, unregulated financial flows, unregulated arms and drug trade. 3. 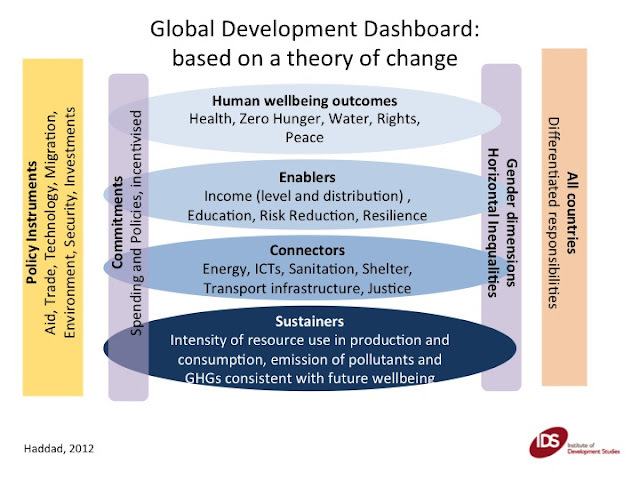 Targets: was the MDG 'target-based' approach a success? Should it be retained? How should progress be measured? 4. Timescale: what period should the new framework cover? Was the 15-year timescale for the MDGs right? The timescale for the existing MDGs of 15 years, with measurements on 25 years, was probably too short. It took at least two to three years to build awareness of the MDGs and discussions around what succeeds the MDGs have been underway since 2010. This has left less time to focus attention on accelerating progress towards meeting the existing goals. Bearing this in mind, a new framework should adopt a longer timescale of 20-25 years. 5. The content of future goals: what would be a good set of global goals? What continuity should there be with the MDGs, and how should the unfulfilled MDGs be taken forward? A balance between continuity, learning and the changing world needs to be struck in a new post 2015 framework. A new framework needs to be underpinned by a theory of change – see figure below for a rough example. It should set out the human well being outcomes the framework is seeking to achieve i.e. freedom from hunger, good health, peace and security. The values of freedom, dignity, equality, solidarity, tolerance and respect for nature described in the original Millennium Declaration could serve as a good starting point. It should outline the enablers necessary to realise these values i.e. secure employment, education; the connectors such as access to energy, water, sanitation, infrastructure, ICTs and the sustainers including resource intensity and pollution targets. The commitments to these elements should be tracked and the gender dimensions monitored. Any model should be have a small number of goals but be more expansive on indicators. The breadth of policies that drive a focused set of goals should be broadened to go beyond aid. A focused set of goals does not mean a limited set of policies. A more integrated approach and set of policy responses is required that incorporates climate, energy, trade, security, immigration, finance and intellectual property. For more information regarding this submission or IDS’ work on the post 2015 agenda please contact Hannah Corbett at h.corbett@ids.ac.uk or on 01273 915640. A couple of points to think about. It's important to state goals sufficiently broadly -- and clearly so -- to reduce the inevitable distortions from specific targets, which are, though, necessary, as you say. Two good reasons for not going beyond 15 years: attention spans for mobilization are unlikely to go beyond 15 years; it provides a chance for change, whether because we didn't get it right at the start or because things change. Needless to say, it should always be a case of "end of the beginning". Of course, making sure a business gains enough momentum and attracts enough strategic business investment to make sure things stay that way are a lot easier said than done. Based on the news I heard, there are more progressive changes to make in the BPO industry, starting from the predictive dialer that is important in automating outbound operations. Therefore, more calls will be entertained and more customers will go through products that are associated with contact centers. To be able to establish programs and global development, identifying goals will help you make your company flourish. With what I’ve learned from the itil demand management, planning to start a business requires researching, establishing plans and goals, in that way, you can improve the company’s growth and sales. We will cross the bridge when we get there despite all the cumulative studies of reflection up until 2015. Assessing the Millenium DC, we can assess its effectiveness or ineffectiveness. The second phase of the MDC should be about fostering industries into sustainable models so it will trickle into the developing world. One of the most important things to remember upon getting into something is knowing what your goals are. In this way, you can keep yourself in track and is rest assured that you will be able to control everything no matter what problems the company or you, yourself encounter. We must be optimistic. We should always think that it is the beginning of the end. To have a mindset that all is not lost and there is a new beginning after every end is the right thing to do. What are the things that we should remember when registering a company? If you could provide tips that will really be helpful. Setting goals is the first step in turning the invisible into the visible. See the link below for more info.